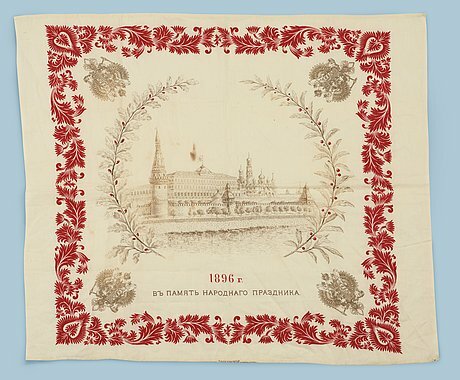 IMPERIAL CORONATION SOUVENIRS, KERCHIEF AND CAKE, KHODYNKA, MOSCOW MAI 1896. The lettering translates to "1896. In Memory of the People's Holiday." 49 x 57 cm. 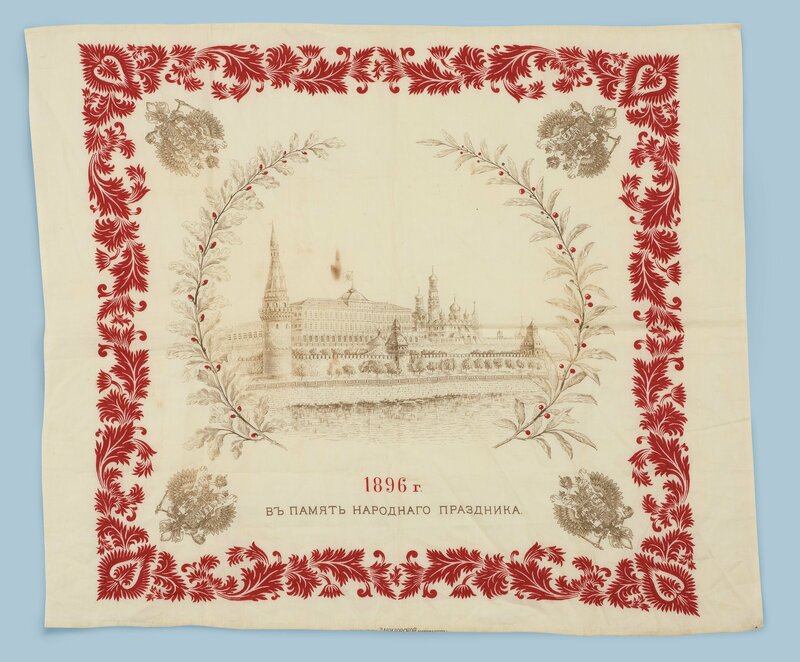 It was made by Danilovskaya Manufacture, established in 1867. 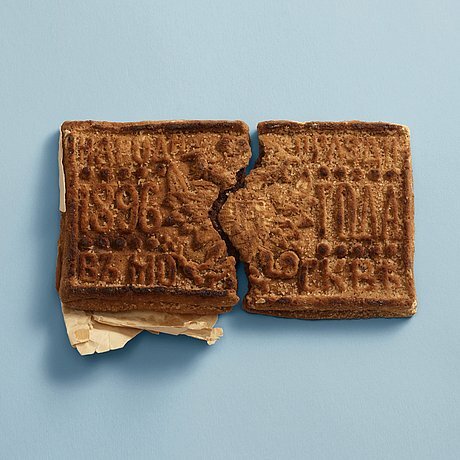 Cake with The Imperial coat of arms and date 1896. 13,5 x 7,5 cm. Wear, kerchief with stains. Cake broken in two pieces. Baron Carl Ericson (1840-1928). Grandmothers grandfather to present owner. Timaru Herald, 21 July 1896. 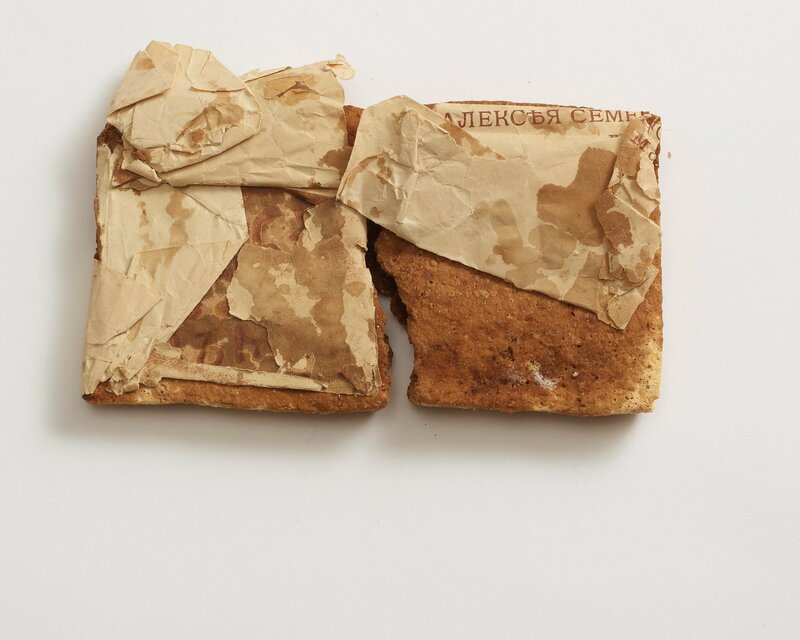 On the evening of 29 May, people who had heard rumours of coronation gifts from the tsar (the gifts which everybody was to receive were a bread roll, a piece of sausage, pretzels, gingerbread, and a cup) began to gather in anticipation.